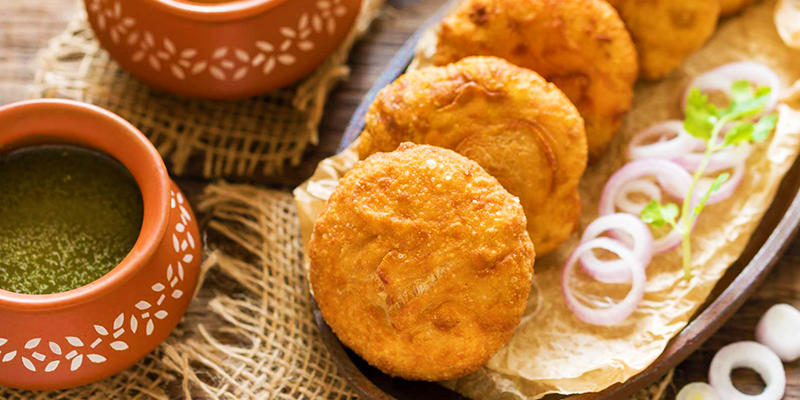 Jodhpur is home to many traditional festivals organized year round. But the biggest event in this city is the Marwar Festival (or Maand Festival in local dialect). The annual festival pays homage to the sacrifices of those brave Rajpur heroes. This two-day long festival, on October 15 &16 this year, is celebrated on the full moon of Sharad Poornima. Maand: This is a Rajasthani folk song form that closely resembles Thumri. This soft folk music style, talks about romance and grandeur of Rajasthan rulers. The famous Rajasthani song “Kesariya Balam” is in Maand style. 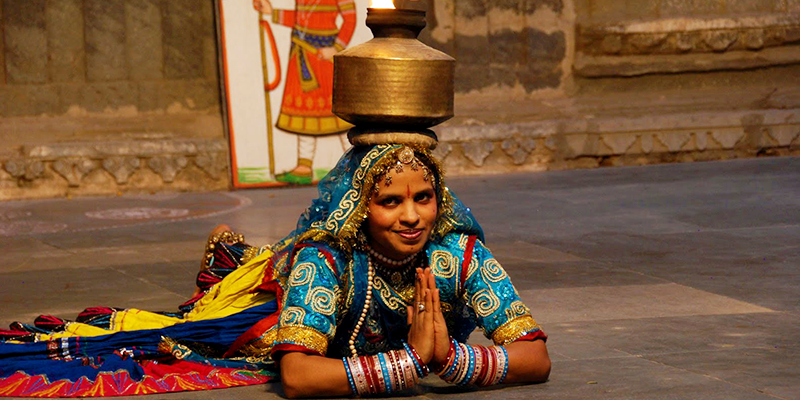 Kalbeliya and Gair: These traditional dance forms celebrate the Rajasthani culture of joy and heritage. The event is marked by performances from eminent folk dancers. 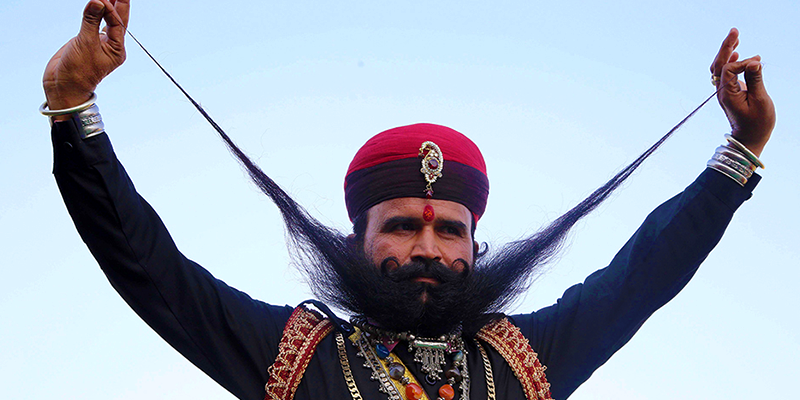 Moustache Competition: Rajasthani men like to flaunt their moustache and the competition gives them a reason too. Men with really long and designed moustaches participate here. Tug of War: This competition is held between the Indians and the visiting foreign tourists. There is a huge crowd for this event and a lot of cheering for the teams. Mr and Ms Marwar: A beauty contest is held during the festival where Mr and Ms Marwar are selected among the locals. 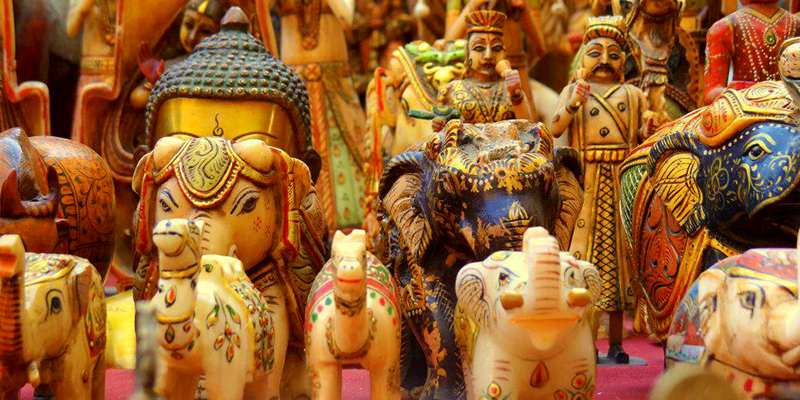 As a part of the Marwar Festival, the state tourism board organizes a small market, where the visitors can buy artificial and craft items. Craftsmen display their skills and people who visit the festival appreciate them. This “Haat” is a popular tourist attraction of this festival. Must Buy: Bandhini sarees (Jodhpuri Chunri), antiques, embroidered shoes, spices and Jodhpuri suits. Note: Since you are visiting the stalls during the festival season, the rates for every item will be sky high. So, tourists are advised to bargain hard before they buy. If you are lucky, you may get an item at half the quoted price. Though Marwar Festival has become synonymous with Jodhpur, but it is also celebrated with immense happiness in Mandore too. The historic and ancient town of Mandore, was once the capital of the Marwar region and houses many tourist attractions that are worthy of your attention. Raavan Temple: Mandore is believed to be the birthplace of Raavan’s wife Mandodari. Raavan was even married in this town. Thus, Raavan is treated as a son-in-law of the town. 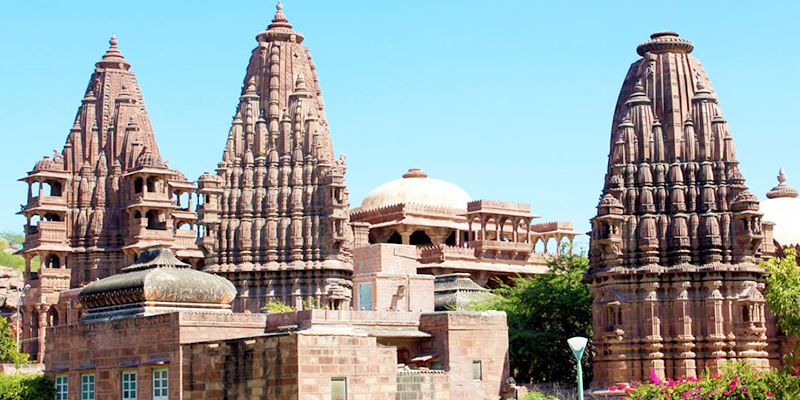 To honor the legendary figure, there is an attractive temple built in Mandore. Mandore Fort: Though the fort is now in ruins, but it is an architectural masterpiece. There is a beautiful temple inside the fort, which has designs of birds, trees, planets and animals on its outer walls. Mandore Gardens: This grand complex houses a government museum, Hall of Heroes (remembering the valor and bravery of local heroes) and temple of 33 crore gods. So, pack your bags and leave for an extravaganza experience with your friends and family. 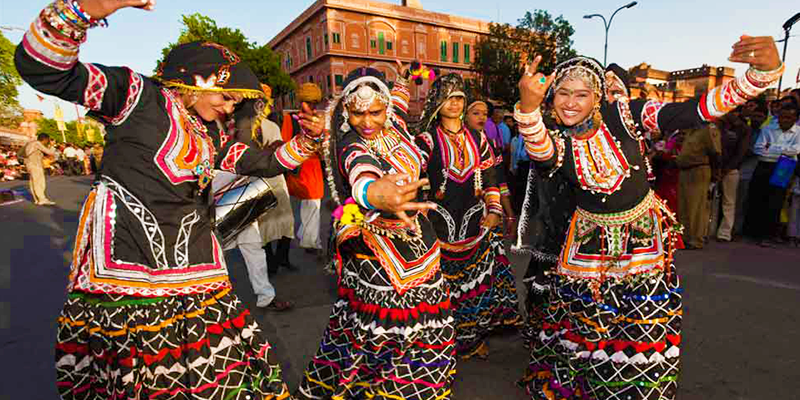 The tourist season is about to start with the cultural Marwar Festival and Rajasthan is waiting for you.